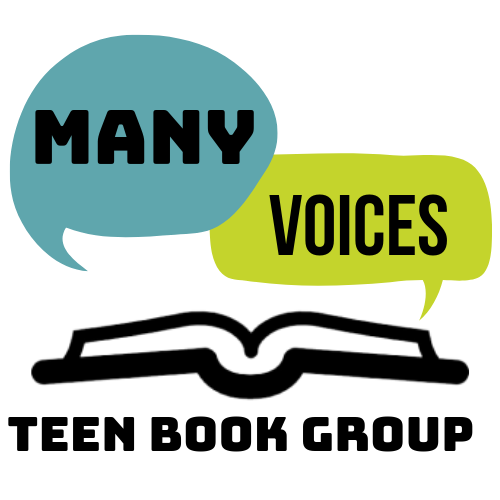 Join one of our ongoing book groups for children, teens, or adults! We can also help your own book group with book sets you can borrow, reading ideas, advice on book group strategy, or extra copies to supply you. Readers are encouraged to call the Reader’s Advisory desk (871-1700 x705), email (readersadvisory@portlandpubliclibrary.org), or come into the library to reserve copies of the books. If you have trouble finding the book in the Portland library system, please contact us and we can locate a book through MaineCat. The Sam L. Cohen Children’s Library will be hosting and facilitating a monthly book club for girls ages 9-12. The Smart Girls Read @ PPL book club will provide a forum where girls can explore what’s on their minds: what’s really important to them as well as strengthening their sense of self. The books they read act as catalysts to spark critical conversations about the roles of girls and women in the past, and examining the girl culture of today. All you need to participate is a desire to voice your opinion, a willingness to listen to others, an interest in reading and discussing books. Come join a community of readers that meets once a month to enjoy some lively conversation about literature and share yummy (and wholesome!) snacks. This book group is for homeschooling children ages 9-12 and meets from September – May in the Sam L. Cohen Children’s Library. If you have children interested in joining the book group or if you have any questions, please contact the Children’s Desk at 871-1700 ext. 707. We are on hiatus for now! Check back here for updates, or try our Riverton or Peaks Island book groups for adults in the meantime. Meet the Author @ Riverton’s Book Group Meeting! This month local author Monica Wood will join us to discuss her memoir When We Were The Kennedys. The Book Group will meet Thursday, December 11 at 6:30 pm. All are welcome but space is limited so please call 797-2915 to reserve a seat. The Riverton Book Group for adults meets on the 2nd Thursday of each month and discussion is facilitated by a staff member. Selections include a hearty mix of fiction and nonfiction, both contemporary and classic. The Riverton Book Group is always open to new members, so stop by to share or listen. This group meets in the Peaks Island Community Room, across the hall from the Library. Meetings are September through June, with a moderator for each discussion. The book group is supported by the Friends of the Peaks Island Branch Library. 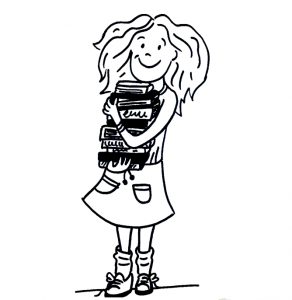 We’ve discovered that readers this age love to read books (lots of books!) and to share what they are reading with others. 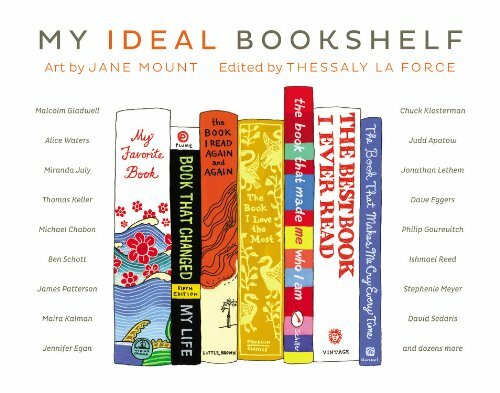 Unlike other book groups, there is not a specific book that everyone reads each month. Instead, everyone comes together to share what they are currently reading, a favorite book, or to make recommendations and have something good to eat while enjoying each other’s company. Everyone who is in middle school (public, private, or homeschooled) is welcome to join in the discussions as listeners or contributors. Please join us! What book sets are available? The sets are listed in the library’s catalog under the title “Portland Public Library Book Discussion Sets.” You can also search the catalog by “book group sets” or “book club sets.” Click on “Place a Hold” to be taken to a page where you can view the complete list of titles and select the specific book set that you want. You’ll need to log in to your account to place the hold online. With your library card, you can also call us to request sets (871-1700 x 730) or make your request in person at the library. MaineCat users can also request Portland Public Library Book Discussion Sets through MaineCat. Book sets go out for a period of 6 weeks to start and can be renewed for an additional 3 weeks. Location: Riverton Branch Audience: Adults, Seniors This month we're discussing "Fahrenheit 451" by Ray Bradbury. All are welcome to join in the discussion or just come for a listen. Call (797-2915) to reserve a copy of the book. Location: Riverton Branch Audience: Adults, Seniors This month we're discussing "The Bright Hour" by Nina Riggs. All are welcome to join in the discussion or just come for a listen. Call (797-2915) to reserve a copy of the book. Location: Riverton Branch Audience: Adults, Seniors This month we're discussing "A Gentleman in Moscow" by Amor Towles. All are welcome to join in the discussion or just come for a listen. Call (797-2915) to reserve a copy of the book. Location: Riverton Branch Audience: Adults, Seniors This month we're discussing "Between the World and Me" by Ta-Nehisi Coates. All are welcome to join in the discussion or just come for a listen. Call (797-2915) to reserve a copy of the book. Location: Riverton Branch Audience: Adults, Seniors This month we're discussing "The Hate U Give" by Angie Thomas. All are welcome to join in the discussion or just come for a listen. Call (797-2915) to reserve a copy of the book. Location: Riverton Branch Audience: Adults, Seniors This month we're discussing "Frankenstein" by Mary Shelley. All are welcome to join in the discussion or just come for a listen. Call (797-2915) to reserve a copy of the book. Location: Riverton Branch Audience: Adults, Seniors This month we're discussing "Destiny of the Republic" by Candice Millard. All are welcome to join in the discussion or just come for a listen. Call (797-2915) to reserve a copy of the book. Location: Riverton Branch Audience: Adults This month we're discussing "The Stars Are Fire" by Anita Shreve. All are welcome to join in the discussion or just come for a listen. Call (797-2915) to reserve a copy of the book.